I’ve written before about my boys and their love of books. We have a ton in our home and I’m always happy to add more to our collection. When the opportunity to create a book for my boys came up courtesy of Twigtale, I was thrilled at the thought of being able to add a personalized learning book to our collection. Twigtale provided me the opportunity to create my own book on their site. Twigtale offers their customers several templates to create books for children based on certain themes – like moving, starting a new school, the death of a pet, or basic learning skills. There’s even an option to create your own book from scratch. 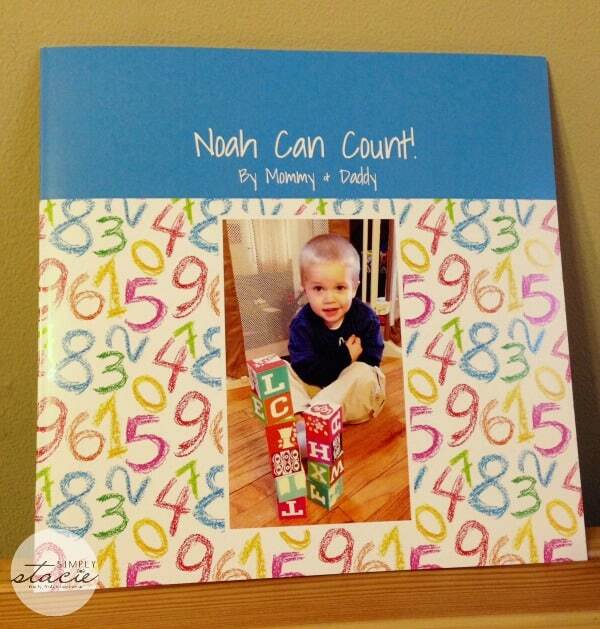 My little guy, at almost three, is very into letter and number books lately and when I saw the “I Can Count” template, I knew I had to create this book for him. Creating the book was super easy – Twigtale gives you a list of pictures you will need to personalize your book (and the option to use their stock photos as well), and once you’ve uploaded the pictures you want to use, all you have to do is place them on the appropriate pages, create/change text, and you’re done! It was really that easy. I used Twigtale’s stock images for the number pages, but took pictures of several of my son’s toys to create the number visual – things like One Lightning McQueen, Three Trucks, Four Bath Toys, Ten Crayons. Once I placed all my pictures and created my text, I was able to preview my book before ordering. When it arrived, it was cuter than I could have imagined – and my son LOVES it! 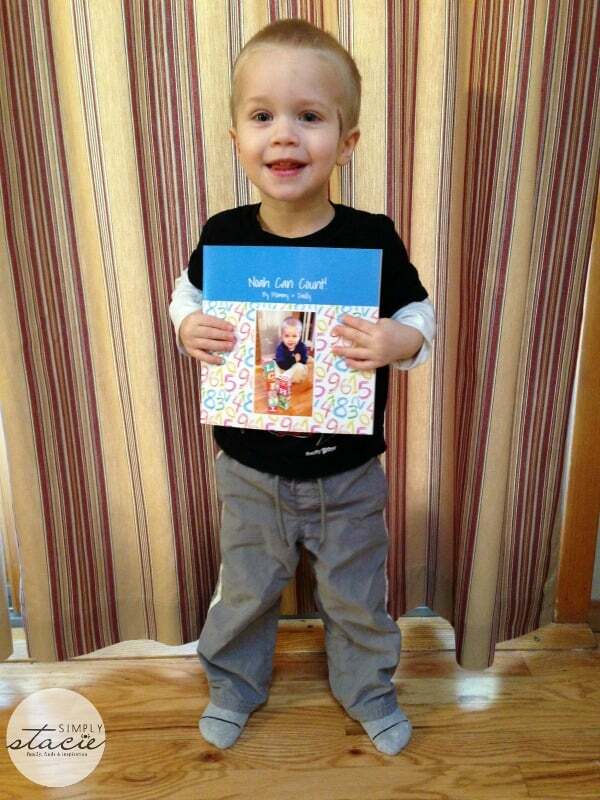 He loved seeing his face on the cover and his toys in the book. He screamed every time we turned the pages – “That’s my car” “My trucks!”. It was so fun to see him so excited. My oldest got a kick out seeing the book too and has now asked me where his personal numbers book is! With so many themes and so many photo options, a Twigtale book would make a great gift for any child in your life in any situation. The book I created costs $20. Twigtale is a company commited to 100% customer satisfaction, by shipping customized books within 7-10 of an order being placed, and guaranteeing you’ll love the book you created! With helpful topics and themes, there’s a Twigtale book for every and any situation that you may need. 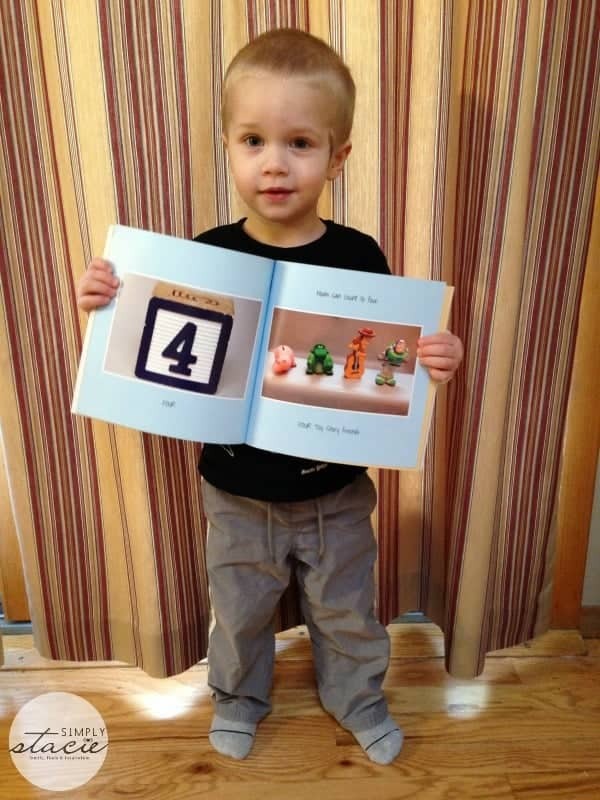 Twigtale stories communicate information through personal experiences along with personal photos that your child recognizes, giving your child a powerful visual tool that helps them understand and accept the message of the book. The themed stories are scripted by child development experts, giving you the exact language and tools you need to best communicate with your child. To see all the custom book options Twigtale has to offer, check out their site. Who loves me or Mama always comes back!! Starting School would be perfect for my soon-to-be Preschooler. Love the learning to share book! Thanks for the giveaway. I love these, they look easy to make but so adorable! I like the Who Loves Me? How cute! I will have to order some of these for my sons! I like the Starting School book. I like the “Me” book. I love My Adoption Story! This is such a idea, and am sure kids will enjoy it. I would love to win this, but would purchase one for sure, or two or three or four. I have so many children in my family that I could definitely get this for–not even kidding. The Learning to Share is a great one for little siblings. I love the starting school book. With a four year old who will be starting kindergarten before long this would br great! These books are cute. The Mama Always Comes Back is important. I like their Starting School Book, my son keeps talking about how scared he is of starting school, this could help with that. I love the Becoming a Big Bro / Big Sis book. This would be perfect for my little niece Eva. She became a big sister April 20th of last year. I also like the starting school book. I love that they have books for transitions in a childs life. This is such a great idea! I want the Trip to the Zoo. They have self esteem books! i love the learning to share book – MUCH needed in my house right now! I would love to get the me and daddy book, it would be the perfect gift for my hubby. I like the My New Bed book. I like the learning to share book that is super cute.